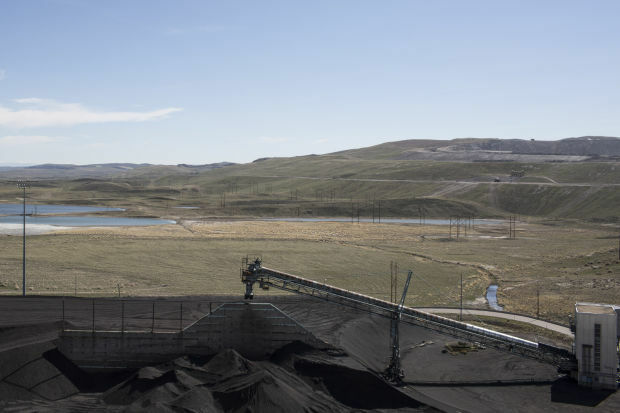 December 6, 2018 - The bankrupt coal firm that owns the Kemmerer mine in southern Wyoming has provided too little detail in its restructuring plan for a reasonable review, a branch of the U.S. Department of Justice stated in an objection filed Friday. The federal department’s protest does not address proposed cuts to retiree benefits and pensions that have been criticized recently by retired miners. Coal is brought into PacifiCorp's Naughton Plant from the adjacent Westmoreland coal mine on May 2, 2014 in Kemmerer. Westmoreland Coal Co., one of the oldest coal mining firms in the U.S., has attempted to speed through it bankruptcy proceedings since filing in early October. The company would sell off its core assets, restructure $90 million in debt and potentially terminate some obligations to retirees. Westmoreland paid $10.2 million in bonuses to executives in the year before its bankruptcy and has recently sought permission from the court to mete out retention bonuses to management over the course of the bankruptcy proceedings. The U.S. Trustee’s Office — a division of the Department of Justice that oversees bankruptcy proceedings — now argues that though the bankruptcy is still in flux, Westmoreland’s current disclosure statement and plan lack a legal foundation for the company to get out of debt. Westmoreland’s plan also seeks to release third-party entities from liability without a legal justification, the Trustee’s Office noted in its Friday filing. “The Debtors have not demonstrated in any way, nor to any degree, the appropriateness of the proposed provisions,” the legal documents state in regard to exculpating third parties. The U.S. Trustee’s Office has objected to high-profile coal bankruptcies before. During the recent downturn, when three major Wyoming operators sought Chapter 11 relief, the federal agency stepped in when Alpha Natural Resources — the former owner of the Eagle Butte and Belle Ayr mins in Campbell County — sought permission to provide retention bonuses to its executives during bankruptcy. The Department of Justice also held up the transfer of Eagle Butte and Belle Ayr to a newly formed company until Alpha had secured its cleanup liabilities in Wyoming and other states. Westmoreland Coal Co. operates in six states and Canada. 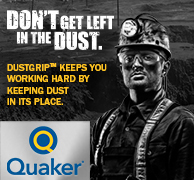 The company employs about 1,700 people across the U.S. and pays pensions and provides health benefits for a host of retirees, including many that worked at the Kemmerer mine in Wyoming. In recent weeks, some of those retirees have sent letters to the bankruptcy judge asking that Westmoreland be denied the ability to cancel its obligations to its retired miners. In a letter submitted to the court Monday, Lawrence Hinton of Kemmerer noted that he retired earlier this year after four decades at the mine. Hinton notes he is a member of the United Mine Workers of America Local 1307. The union has objected to Westmoreland’s restructuring plan since before the company filed, objecting to proposed cuts to miner benefits the company had floated before filing. Westmoreland has argued in court filings that it is facing tremendous economic pressure in relation to the declining coal market, citing a lack of access to capital, compliance with coal regulations and price fluctuations for coal. 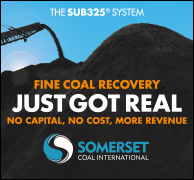 “All coal companies face these challenges and many have filed for bankruptcy protection in recent years,” the company stated. Wyoming’s largest utility, Rocky Mountain Power, has also objected to Westmoreland’s bankruptcy plans due to the effect on its electricity customers if the Kemmerer mine folds. The Kemmerer mine provides coal to Rocky Mountain Power’s nearby Naughton Plant. The coal-fired power plant and the mine are significant employers and revenue drivers for the small town. Roughly 285 miners were employed at Kemmerer as of June. The local union is currently bargaining for a new contract with its employer, a process that has been delayed by the bankruptcy proceedings, the group said.